Telescope Facts For Kids | Cool Kid Facts . 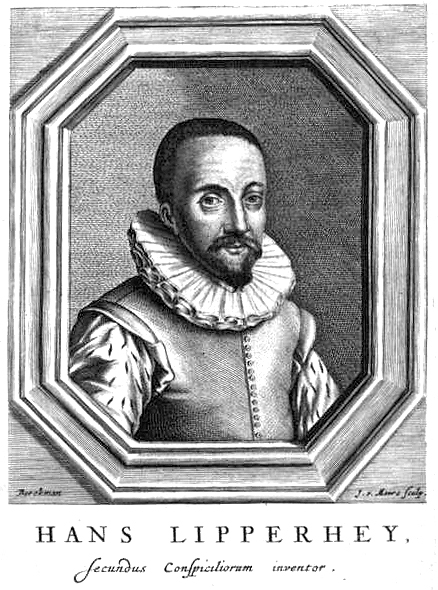 The first person to patent a telescope was Hans Lippershey, a Dutch eyeglass maker, in 1608. He called his invention the ‘looker’ and was able to magnify things to three times their normal size. His ‘looker’ was made by fitting one concave piece of glass to a convex piece of glass. In 1609, Galileo heard about Lippershey’s invention and began building his own design making many improvements so that the magnification of his telescope reached 20 times. According to history, Galileo looked to the skies and was able to see the craters of the moon. He drew the moon’s phases, was able to describe the Milky Way, and discovered the rings of Saturn and the moons of Jupiter. Because he became convinced that Earth and the planets circled the Sun, he was arrested by the Catholic Inquisition and imprisoned until he died in 1642. In 1668, Sir Isaac Newton built the first reflecting telescope in order to prove his theory that white light had a spectrum of colors. Up to that point, telescopes were refracting and used a lens which worked much like the prisms Newton was using. Newton’s idea was to use mirrors so that the creation of colors by the lens could be eliminated. 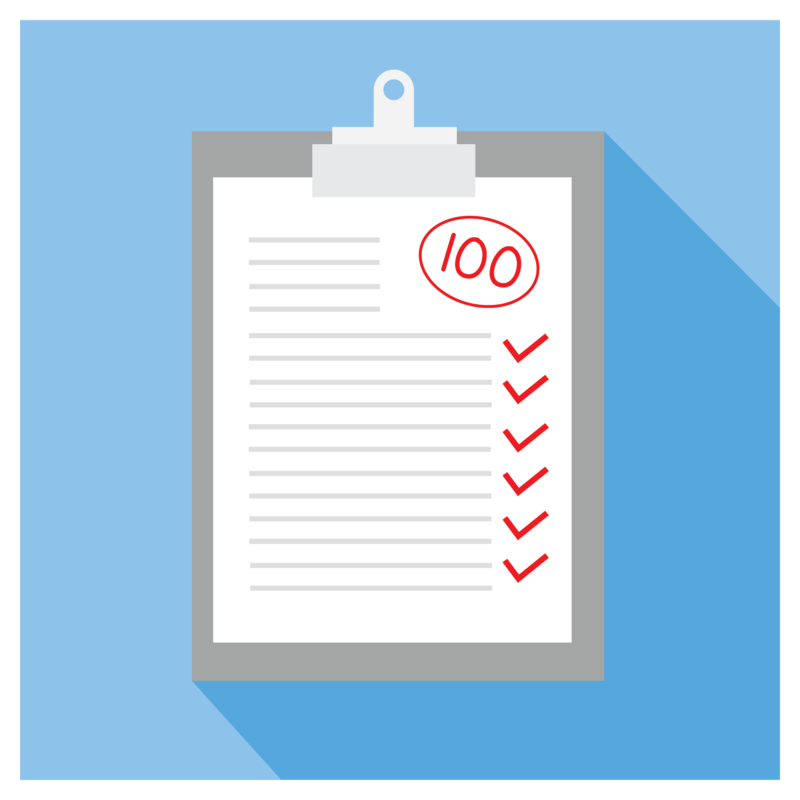 This coloring is called chromatic aberration and it causes fringe coloring so that images look blurred. His new improved telescope eliminated chromatic aberration, was cheaper to build, simpler in design, had a wider field of view, and was portable. In 1789 in England, William Herschel built the first giant reflector telescope, which was 12 meters long. Over the next 400 years, there have been astronomical advances, but all of the telescopes have two things in common: they have light gathering abilities and they magnify. During WWII, Sir Bernard Lovell had worked on radar and after the war in the 1950s; he made plans for a large radio telescope. It was completed in 1957 and had a 250-foot diameter radio dish that could be aimed into the sky. 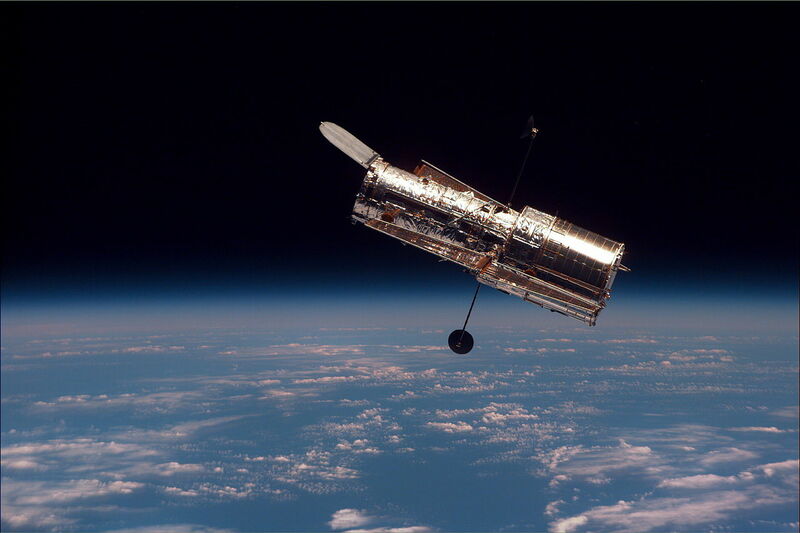 In 1990, the Hubble Space Telescope was carried into orbit by the Space Shuttle. It orbits around the Earth and views outer space and has sent amazing pictures of galaxies and stars back to Earth. The Lovell Radio Telescope has played an essential role in researching meteors, quasars, and pulsars. This was the beginning of the Space Age. It has been used to tracking spacecrafts (space probes) that travel through space and orbit planets and moons to collect scientific information for scientists to study. A new and revolutionary space telescope was sent into space in 1991 to detect X-rays and gamma rays. This is the Compton Gamma Ray Observatory (CGRO) and it has four telescopes mounted on one platform and is in orbit around the Earth. It was put in orbit by the Space Shuttle Atlantis. It operated from 1991 until it was de-orbited in 2000. The CGRO weighed 17,000 kilograms and cost about $617 million. The largest infrared telescope ever launched into space was the Herschel Space Observatory, which operated from 2009 to 2013. It had a 3.5 meter mirror as well as other specialized instruments that could read infrared waves. When was the first telescope patented? What was the difference between the first telescope and Galileo’s first telescope? What did Galileo able to see with his telescope? What telescope marked the beginning of the Space Age? What was the largest infrared telescope ever launched into space? 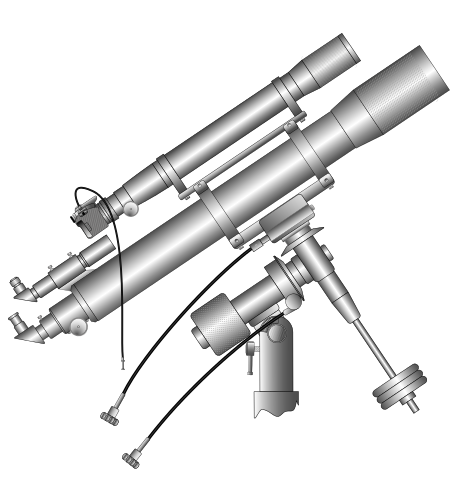 The first telescope was patented in 1608. The first telescope magnified 3 times and Galileo’s magnified 20 times. Galileo saw the craters of the moon, the rings of Saturn, the moons of Jupiter, and described the Milky Way. The Lovell Radio Telescope marked the beginning of the Space Age. The Herschel Space Observatory was the largest infrared telescope ever launched into space.